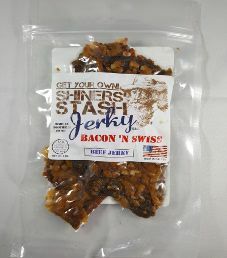 The next review for Shiners Stash will focus on a 3 ounce/85 gram bag of their Bacon ‘N Swiss flavored beef jerky. 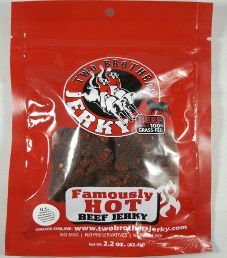 This flavor is described as using the leanest of choice beef, applewood smoked bacon, & swiss. 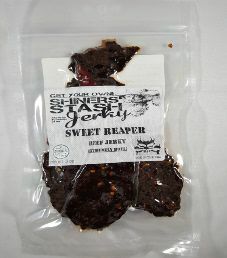 The jerky was kindly submitted for review by the owner, Swen Altis. 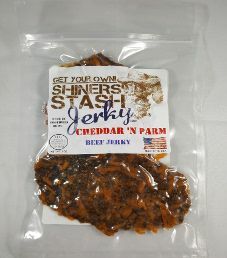 The next review for Shiners Stash will be on a 3 ounce/85 gram bag of their Cheddar ‘N Parm flavored beef jerky. 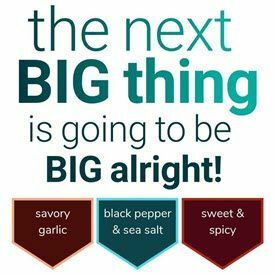 This flavor is described as using sharp Cheddar cheese in combination with grated Parmesan to create a choice cut beef jerky. 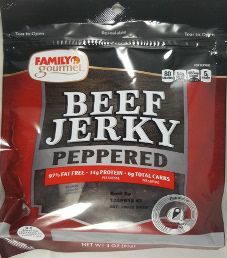 The jerky was graciously submitted for review by the owner, Swen Altis.